How's that pocket super-computer going to evolve over the next 12 months? What will happen to phones over the next 12 months? Every year we think the evolution in smartphones must have finished. Every year we're wrong. Very wrong. 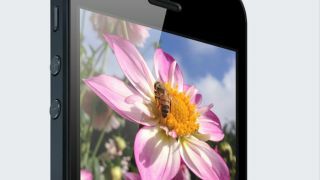 2012 saw quad-core processors become the norm among the high-end Android world, while Apple finally yielded in the screen size arms race by launching the taller, bigger iPhone 5. Even Nokia broke a few boundaries with its high-spec imaging technology, sticking unbelievably powerful camera equipment in its latest phones, giving us access to mobile technology that even a couple of years ago would've seemed impossible. So what can we expect to see in 2013? Will any maker be mad enough to launch a phone with an "octo-core" processor? Will Samsung expand the Galaxy Note's enormous screen by another inch or two, forcing trouser manufacturers the world over to expand pocket sizes accordingly? Some things are guaranteed. There will be an iPhone update of some sort and Samsung will launch a few thousand differing Galaxy models, but what will be the big movers and publicity-grabbers of the 2013 smartphone scene? We've seen a few models arrive with 1080p resolution displays, such as the international HTC Butterfly, and with phone power and size surely about to reach a plateau we expect display resolution to be one area where makers can still out-boast each other next year. By the end of 2013 we'd expect most flagship models to come with 1080p displays. One of the recent Sony rumours, for example, claims it's working on a phone codenamed Yuga, which should offer a 5" display running at 1080p resolution. There will be plenty more. This one's a banker. Samsung's absolutely crushing the world with its Android models, with the Galaxy S flagship range an annual winner when it launches each spring. Last year's Galaxy S3 was a smash, teaming Google's Ice Cream Sandwich software with Samsung's own complex and feature-packed user interface. It was a bit light and flimsy and nicked plenty of features from other hardware makers, but had enormous amounts of power and was a joy to use. Early rumours suggest the Galaxy S4 will arrive with either an updated quad-core processor or even an eight-core brain, and with screen sizes inching ever higher, expect it to be bigger than ever. Literally. How big can Samsung go in 2013? Yes, seriously. The latest Windows Phone 8 handsets are looking very impressive, with the recent Nokia Lumia 920 and the decent HTC 8X proving that it is possible to build a glamorous, exciting smartphone around Microsoft's software. All Windows Phone needs now is the public to fall out of love with Apple and Android and give Old Man Microsoft's ecosystem a fair trial. Which is a big ask, but anyone who's used HTC's 8X will know that it's definitely possible. Samsung's been working on enhancing its memory chip production, resulting in newer, smaller memory chips with 64GB of capacity. For those who are yet to switch their media storage to the cloud, that's going to be a big draw. Samsung's recently made a 64GB version of the Galaxy S3 available for order, so expect this high-end storage option to feature heavily in 2013. Apple has been leading the way in offering 64GB versions of its iPhone, although users after storage space on a budget will still opt for a rival model with an SD card slot and save a couple of hundred quid. Another absolute cert for 2013 is an iPhone upgrade , although early rumours suggest we'll be seeing a minor iterative update akin to the iPhone 4S, rather than a full-on redesign and refresh. Could we see another bump in screen size? The iPhone 5 was bordering on the perfect from an Apple user perspective, with its safe software and lack of thrilling innovation the only downside. What's left for Apple to tweak with the iPhone 5S?